Train journeys are times to “people watch”. There’s also the beach (with sunglasses on), the airport, a park – any public place really. Even where our house is situated I can keep an eye on the comings and goings of our neighbours. 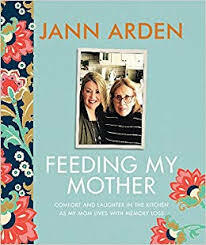 It is a wonderful sport and I often spend time wondering what people’s stories are. Sometimes when I’m doing an airport pickup, to occupy myself while I’m waiting since I’m always early, I’ll try to guess who people are waiting for. Is that man with a rose waiting for his girlfriend? Is that older woman waiting to see her grandchildren? Then I see if I’m right. Sometimes I’m (a little) disappointed because my own person arrives and I realize I’ll never know if I was right or not! Alexander McCall Smith, himself loved around the world for his popular series, situates this stand alone novel on a train where four strangers seated near each other share about how trains had changed their lives. It’s amazing how chatty some people can be! Of course fellow travellers are often not as amused or cooperative as the characters in this book. On a journey from Edinburgh to London, each of the four share a story of love (first love, unrequited love, parental love and love as trust). And isn’t love a journey itself? A nice light novel for a trip on any form of transportation. 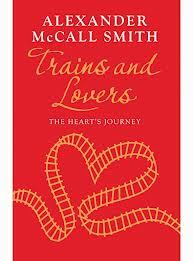 This entry was posted in Fiction and tagged Alexander McCall Smith, train journeys, Trains and Lovers. Bookmark the permalink.